In Pokémon Go, the more you advance in the game, the more interesting it becomes. Some players have gone to the extremes of what might seem to be physically impossible while others are not even yet ready to hit the gym. The more one plays, the more money they get regarding Pokecoins. 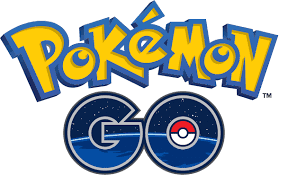 The game offers two forms of shopping; using the pokecoins or using real money to purchase pokecoins. All the items in the game are offered in the Pokestops in the landscape and are free. This article provides a list of items you can buy in the game to make your gaming experience interesting and take it to the next level. These are the essentials of the game. They are used for catching Pokemon. When your balls are depleted, you cannot catch anything. However, the pokestops are stacked with dozens of them selling at prices of 100, 460 and 800 pokecoins for 20, 100 and 200 batches of balls respectively. The idea is to use your money wisely and only buy the balls you need for your missions. You do not want to use your money buying items you will not use. Once you advance up to level 12, you have the chance of acquiring great balls. These balls increase your probability of catching Pokemon, unlike the standard pokeballs. On reaching level 20, you can buy ultra balls to enhance your experience in the game. However, these balls are more expensive compared to the pokeballs, and it is paramount to plan wisely before making a purchase. Master balls are scarce and have not appeared since the beta testing of the game. Their capture rate is guaranteed and is therefore saved for legendary Pokemon such as Mewtwo. Catering for your Pokemon is critical, especially after battles. The portions are available from level five, and they coincide with the gym battles. As you progress to level ten, you get super portions that are more effective and hyper portions start at level fifteen. These portions are critical for players who keep on attacking other teams. Lastly is the max potion that fully restores the health of the Pokemon in one go and are discovered at level 25. In the span of half an hour if you have utilized a lucky egg you get double the experience points for anything you do. These points come in handy when you are expecting to be busy and when used in conjunction with other items such as lures and evolutions they are extremely useful. They are some of the best items to buy with real money in the game as they will enhance your experience and they are not cheap as a lucky egg goes for 80 pokecoins. On the other hand, Pokemon eggs are not to be confused with the lucky eggs. They are not consumed but rather incubated until they hatch. They are found in pokestops, and they hatch new Pokemon. These are attached to pokestops to lure Pokemon to the location. Once dropped it as a span of 30 minutes but can be bought in a bundle with each costing 100 pokecoins a throw. Another best thing to buy with real money is incense and once used they attract more Pokemon for 30 minutes and are available for 80 pokecoins each. They can be used with razz berries to increase your experience in catching Pokemon.